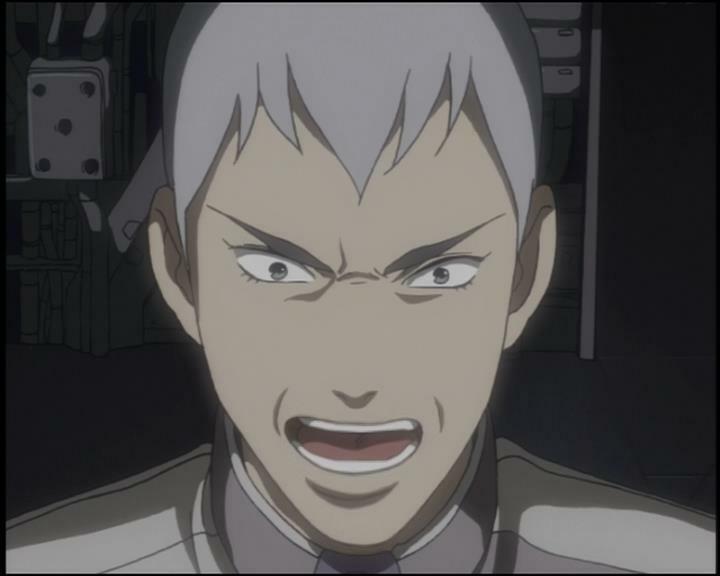 Any finale for Rahxephon would, after the revelations of the ending arc, be a personal rather than action-filled one. There is no sense of a war any more; humanity is annihilated and forsaken, Ayato has had his chance to embody the machine, to become the saviour of humanity, and turned away from it. It is hard to say this is turning away from a duty, because what duty did he have at this point? He is a Mulian, he has been all but rejected and used by humanity, and so it is almost inevitable he would not seek to be their saviour. So, the conflict that remains is between what remains emotionally of Ayato, what human touch he picked up in his life on Earth, and the insecurities which fuelled his sudden abandonment of Haruka and Megumi. He took action, but it was action with unknown, uncertain consequence – and now almost limitless power is in the hands of someone who does not know where he belongs or what he should do with it. 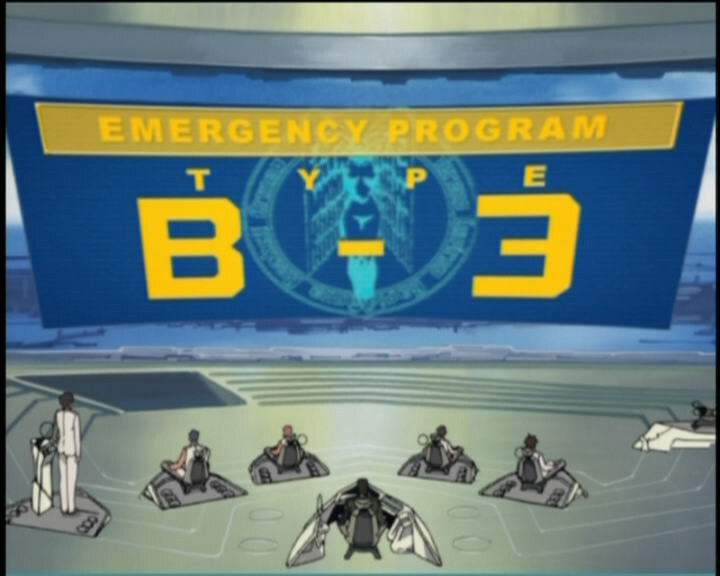 Episode 25 of Rahxephon begins with Ayato having “become” the Rahxephon, its true form being a giant version of him with design elements of the machine itself attached. This is, one could argue, the “mid-season upgrade” of the machine, its point where its true power is unlocked for the final battle – and there is definitely a final battle at hand, with the Mu controlling earth, TERRA in ruins, Narai-Kanai destroyed and the moments of love-confession and resolution passed. 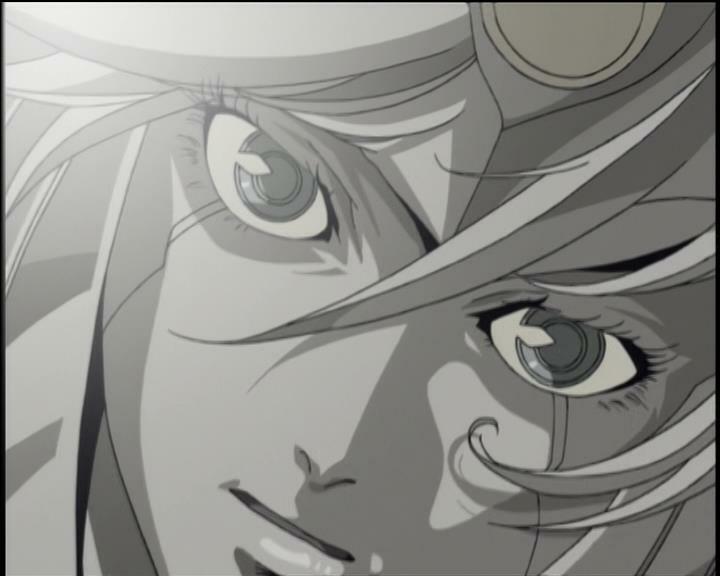 Rahxephon has toyed with becoming a super-robot anime at times, but never committed; some combination of events has always subverted or prevented action catharsis. In a way this is the ultimate in the robot representing the pilot – Ayato has never been particularly comfortable in his identity or at home in this unusual world, and TERRA has never really understood what it is doing – and so the “message” being pressed home is that there cannot ever be proper catharsis. When he tries to be decisive, he misunderstands the situation. When he vacillates, people die. Much happens in episode 24 of Rahxephon; the series has built to a climax and now the final act begins in earnest. 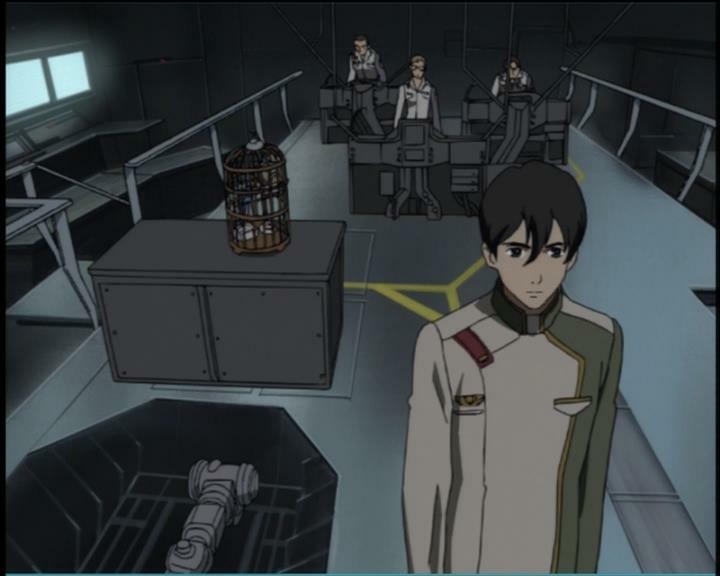 Episode 23 could be seen as, in effect, the motivating force for this climax – the destruction of the heroes’ base, the loss of a much-loved character – and now, with this episode, the events of the ending begin. Yet it is a subdued episode, a fitting and mature response to the death that defined the one before – and that if anything shows how the series has progressed since Isshiki’s removal from TERRA. The characters are given a chance to grieve for a lost comrade in their own ways, and this is shown to be important. It is a restrained – at first, anyway – response to a heroic sacrifice which sets a very different, more elegaic tone to how the episode proceeds. Episode 23 of Rahxephon is a very, in many ways, typical episode of mecha anime and yet as a result, for this point in the series, a very atypical episode of Rahxephon. As a result, it is disarming, and poignant, and a very strange counterpoint to the crushing anticlimax of the previous two-part story about Makoto’s failure to implement his plan. It closes off a character’s arc in truly heroic style, yet constantly undermines the aesthetic expectations of the audience to make it less simplistically hot-blooded. Furthermore, it hints at tragic ironies but never makes them clear, not spelling out how one character’s doubt and inaction could have prevented another’s tragedy and leaving the doubt in the viewer’s mind of whether or not what happened could have – or should have – been prevented. Episodes 21 and 22 of Rahxephon form an elegaic two-part story which drives the story forward significantly; through conversation, the characters make their peace with each other and through action, the different factions – Mu, TERRA and Bahbem Foundation – each begin their master plans. The protagonists – Ayato and Quan – are almost sidelined in all of this, diminished to “actors” in their respective “directors’” plans. Quan, previously the powerful yet enigmatic figure who has driven Ayato forward, is reduced in the opening scenes of episode 21 to a sexualised object, felt around by Bahbem and told to “play” for him. The change in outfit here – to a formal black dress and lingerie as she is paraded before an old man who “inspects” her – is obviously exploitative and puts someone who has previously been not so much vulnerable and distant as clearly a victim. Ayato is outplayed by the manipulative Mamoru, the Mu infiltrator who waltzes across Nirai-Kanai mocking all he meets and taking advantage of Megumi. 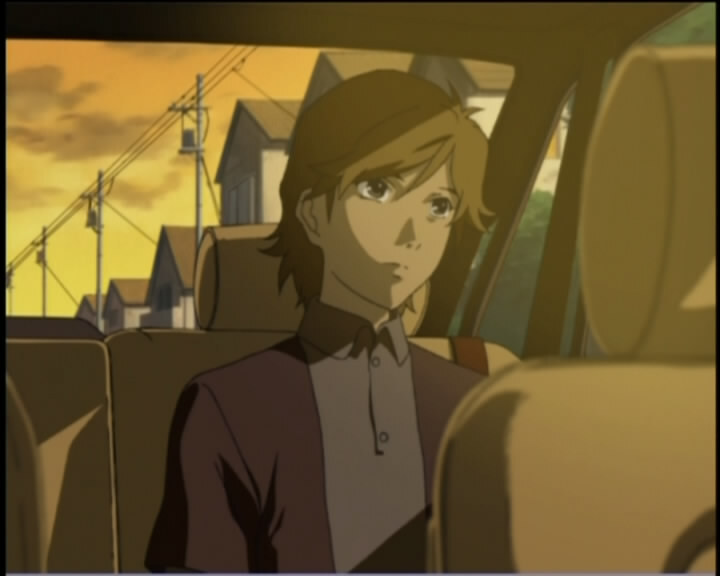 After the revelations of episode 19 of Rahxephon, the expectation – the anticipated progression of a traditional narrative which has just reached its tragic mid-point climax and is surely beginning its turnaround to eventual victory – would be that there would be some focus on Ayato’s response to the tragedy he has experienced. It would be catharsis, after the fight that has just occurred, a clear sign that the story is unlikely to go lower and will begin its narrative upturn. Losing someone close to them is usually the catalyst for a protagonist to toughen up and get some vengeance, but this is shown in narrative terms by showing how they respond to their grief – it is their story, and they response matters. There is no catharsis in episode 20 of Rahxephon. It glosses over, in explicit terms, Ayato’s response to episode 19. He has got over it. How and why is not shown. Episode 19 of Rahxephon is the end of an arc – the moment where Ayato’s impulsive heroism is finally put to the test as he must come to terms with what “saving” someone actually means – and whether, in this world, it is even possible. 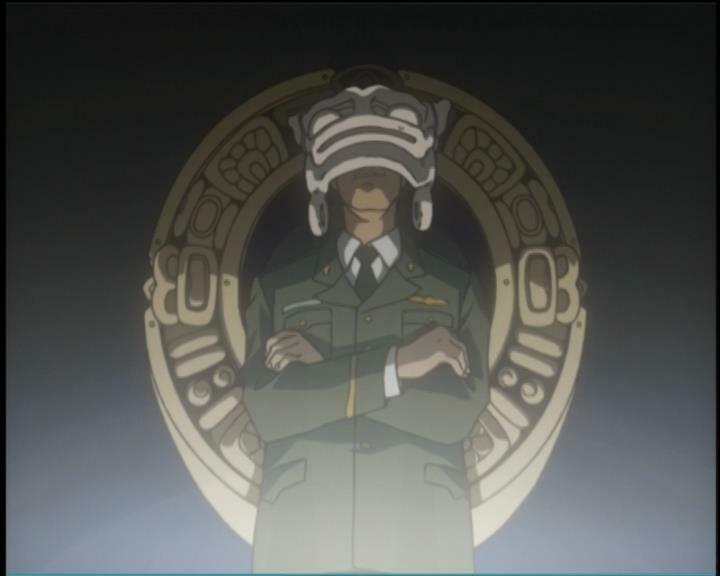 Note: Episode 19 is a particularly unique episode, and probably one of the best-written episodes in mecha animé purely because of how it sits within the wider plot of the series – as a result, the remainder of this article will be placed after this tag so readers may choose not to read it and see the episode without being spoiled. 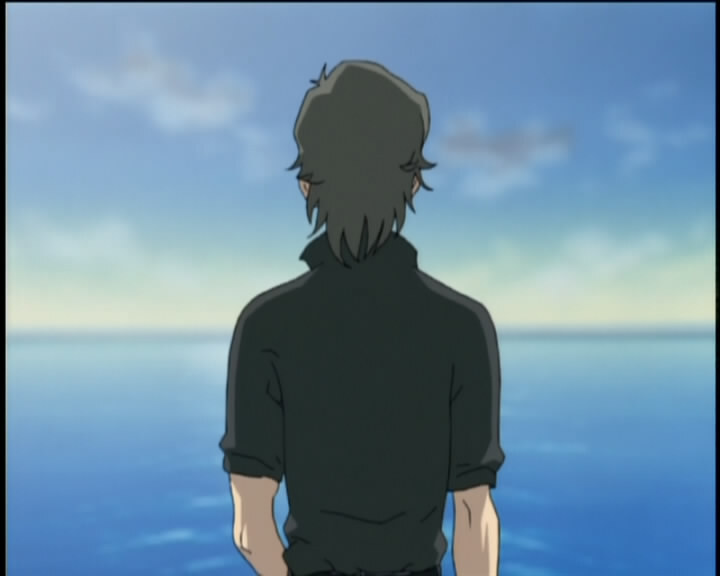 If episode 17 of Rahxephon was about Ayato’s failure – his entirely understandable and thus all the more tragic moment of conviction based on faulty facts – episode 18 is his final descent and attempts to recover. It is densely packed with the answers he seeks – answers which even undermine the audience’s privileged position compared to the characters by giving a direct insight into the enemy’s plans – but offers little redemption or closure. Its final line is “where can I go?” as he escapes the Mu and flees, but without ever reconciling with any of those he has alienated in the process. It could even be seen as prophetic of future misfortune – he is rushing onward in the Rahxephon to do what he thinks is right, motivated only by a desire to do something. Episode 17 of Rahxephon is a fruitless, frustrating buildup to a moment of horrible catharsis divided into two parts that lay plain between them the mysteries of the series. These are mysteries that the viewer knows, or has worked out by inference, but which not all of the characters know to the same extent – and the ways in which they learn these things, in the worst ways at the worst times, set up a grim future for Ayato. The revelations in the episode are not really revelations to the viewer but instead to Ayato, and mark the point where he finally gets what he wants. After the “invisible” fifteenth episode of Rahxephon, the story returns to its main narrative after some time has passed; Elvy and the Vermilion are conspicuously absent, and the focus is still on the Bahbem children, now adults. Episode 16 is a dense episode, focusing on the delicately collapsing relationships of the main cast and culminating in a series of examinations of how the characters react to arguments and efforts to finally set the past lies aside. There is a constant tension between the expectations of maturity and openness that the younger cast have, and the ease with which adults – being positioned as authority figures – can lie, and need to lie. At its core, the episode’s actual progression of the story is minimal; it does not clarify anything about the conflict with Elvy, and its actual forward motion occurs entirely in the final scene. However, as a more self-contained episode, it shows in great detail the tiny events which all motivate the characters to move the plot on.